The MageWorx Cross Links extension is designed to optimise a current internal store linking structure. The tool lets you save tons of time by eliminating manual work related to adding links to each page of your website. Instead, it automatically replaces keywords or keyword phrases with links to both internal pages or external sources. Thus, you get a perfect opportunity to connect keywords to the product, category, or CMS pages, as well as link them by categories or products. 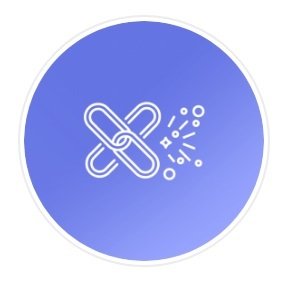 Links connecting thematically relevant site pages drastically improve user experience on an online store, providing customers with enhanced store navigation. When you link your store pages to related websites, you can gain more trust from your web store visitors ensuring them that your store is associated with reliable web sources. Besides that, the well-organised internal linking structure is a must-have to make an online shop search engine friendly. As a result, you drive more traffic to your website promoted pages and evenly distribute page authority and ranking power throughout the site. Besides, you do not have to worry about conflicts that may occur during the cross-linking process, since the MageWorx Magento 2 Cross Links module offers advanced priority settings. Sounds great, so let’s look at the extension’s features in more details. enable or disable all cross links simultaneously. If you are not familiar with the purpose of internal links, they provide store visitors with better navigation. Under the store visitors, we mean not only potential buyers but also search engines, so the extension helps to improve SEO. Cross linking is an important ranking factor that defines page relevance, so don’t waste your chance to fully leverage it with the Magento 2 Cross Linking extension by Mageworx. The tool will help you build internal cross links and internal links on any page of your ecommerce store. The module also enables users to define such SEO parameters as a title and alt tags, create internal links based on products and categories, choose Store Views for which you would like to build links, as well as set cross link priority, and other parameters. As for linking your store pages to external sources, the MageWorx Cross Linking extension enables you to add links to relevant websites, optimising their titles and alt tags. Besides, it is possible to choose a Store View to place links, define priority, and set keyword replacement count. On top of that, you can simultaneously enable or disable all cross links, set the default values for cross link attributes, and choose a limit on keyword replacements. It is also necessary to mention that the MageWorx Cross Links extension for Magento 2 and 1 supports all national characters with UTF-8 encoding. Cross links management settings are available under Marketing → MageWorx SEO Cross Links → Cross Links. The grid lets you rearrange the order of columns by dragging and dropping them. Besides, you can pick which columns to show or hide in the appropriate drop-down menu. Note that each column, except Checkbox, Store View, and Action, supports sorting. Additionally, you can rely on 15 filters to find specific templates. Moreover, there is search by keywords. It is also necessary to mention that you can apply mass actions: enabling, disabling, or deleting multiple cross link rules in bulk. Click ‘Add New Crosslink’ in the top right corner of the page to create a new link. 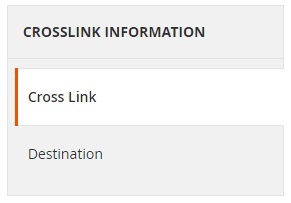 While creating a new cross link, you have to deal with two tabs: Cross Link (Crosslink Info) and Destination. Under the Cross Link tab, you should start with specifying keywords. Entering one keyword or keyword phrase per line is necessary. As a result, a new cross link rule will be generated for each keyword. If you use several keywords, activate the Reduced Multisave Priority feature that will reduce the keyword priority for every next keyword from your newly created list. By adding ‘+’ after or before a keyword, you apply the rule to all its variations, but not to the exact keyword. For example, you have to enter both ‘iphone 5’ and ‘iphone 5+’ to apply the cross link template to iPhone 5, 5s, and 5c. Next, specify link alt tag and title, link target (_blank or _self) which defines how a cross link is opened, and Store View. Then, you should choose reference: Custom URL, Product, or Category. Depending on the reference you select, the next options vary a little bit. In case of custom URL, you specify that URL (it can be a link to external sources), choose a maximum number of keywords per page to be enhanced with links, amd set the priority of the new rule (100 is the highest one). For the product reference, you should select a product instead of a custom URL. All other options are the same. In case of the category reference, the situation is similar. Now, you can go to the Destination tab. 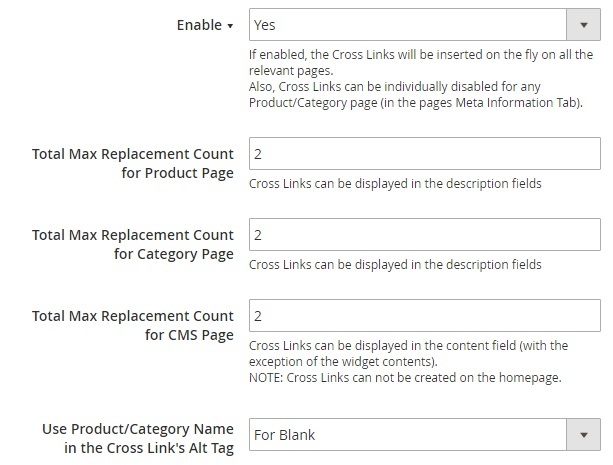 Here the extension provides you with the ability to activate your new cross link template in Product, Category, and CMS pages. Save the changes and voila! Now, you have a new cross link rule. The extension general settings are available under Stores → Settings → Configuration → MageWorx → SEO → SEO Cross Links. 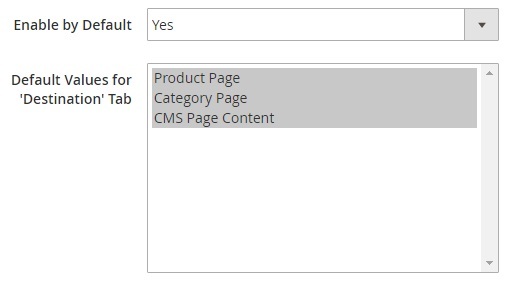 Here you can enable or disable the extension, specify total maximum replacement count for the product, category, and CMS pages, and activate the usage of product/category names in the cross links alt tags. 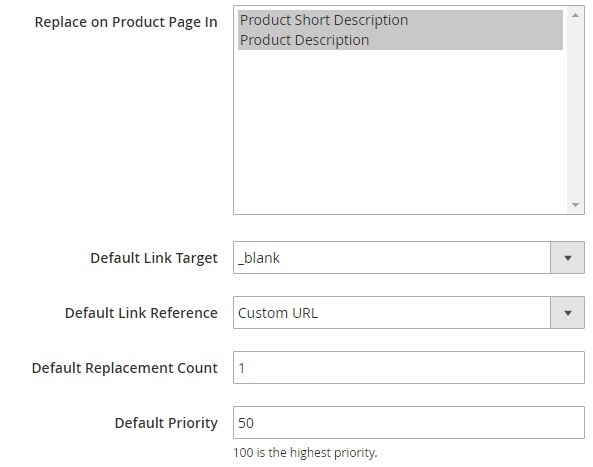 Next, you decide where to replace keywords with links on product pages: in short descriptions, full descriptions, or both; choose default link target and reference, replacement count, and priority. It is also necessary to enable or disable each rule by default, as well as select default views for the Destination tab. 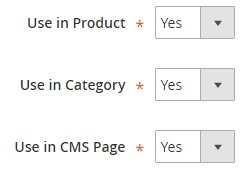 You can choose between product, category, and CMS pages, or select all three of them simultaneously. Here in the product description, we added a cross link leading to the ‘Bags’ category page. The MageWorx Cross Linking extension for Magento 2 and 1 offers all the necessary options for efficient management of crosslinking functionality. The module lets you create new rules in a matter of seconds and apply them to your store pages without any headaches. As a result, you can substantially improve both user experience and SEO. As for price tags, both Magento 2 and 1.X tools cost $99. 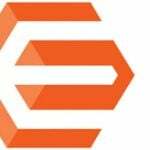 If you are already a user of a MageWorx Cross Linking for Magento 1, you can ask for a 50% discount on the upgrade to the Magento 2 module. It is also necessary to mention that the company offers free lifetime updates and fixes for both tools.